Britons Carey Mulligan and Colin Firth have won the top acting Baftas, with The Hurt Locker - about bomb disposal experts in Iraq - named best film. 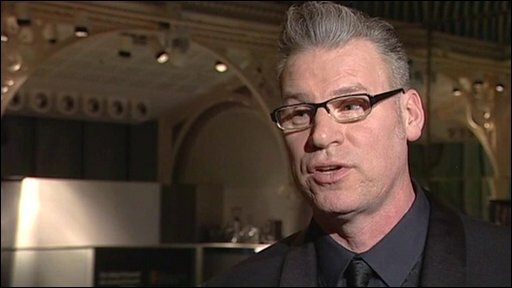 That movie was the night's big winner taking six awards in total including best director for Kathryn Bigelow - the first woman to win the prize. Mulligan, star of UK film An Education, said she "didn't imagine in a million years that this would happen". Firth won for his portrayal of a gay academic in Tom Ford's A Single Man. The film, about a grief-stricken university professor in 1960s Los Angeles, was fashion designer Ford's directorial debut. 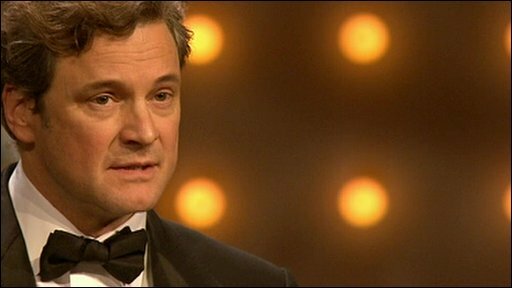 Accepting the award, Firth, 49, thanked his director for leaving him "resuscitated, a little more worldly, better groomed, more fragrant and more nominated than one has ever been before". "What Tom Ford doesn't know is I have the e-mail in my outbox telling him I could not possibly do this," he said. "I was about to send this when a man came to repair my fridge. "I don't know what's best for me so I would like to thank the fridge guy." Mulligan beat actresses including Meryl Streep and Audrey Tautou to win her prize. The actress, 24, said: "I was here a year ago and I didn't imagine in a million years that this would happen. "I wish I could do a speech like Colin Firth and talk about fridges but I can't." Mulligan's performance as a precocious 1960s schoolgirl brought the only win for An Education - despite eight nominations. James Cameron's 3D epic Avatar, also up for eight prizes, only came away with two - for special visual effects and production design. It was a triumphant night for Bigelow, whose The Hurt Locker was also nominated in eight categories. She beat ex-husband Cameron to win her best director prize. Bigelow, who at the start of the night ran down the red carpet to avoid questions from journalists about their duel, said the win was "really amazing and humbling". "I would like to dedicate this to never abandoning the need to find a resolution for peace," she added. The Hurt Locker also won best original screenplay while comedy Up in the Air took best adapted screenplay. Christoph Waltz won best supporting actor for Quentin Tarantino's Inglourious Basterds. Newcomer Mo'Nique won best supporting actress for playing an abusive mother in Precious, the tale of a high school student coping with issues including teenage pregnancy and sexual abuse. And Fish Tank - the story of a girl from Essex who finds her life turned inside out when her mother brings home a new boyfriend - won best British film. The rising star prize, voted for the public, was awarded to Twilight star Kristen Stewart, who beat actors including A Single Man star Nicholas Hoult and An Education's Carey Mulligan. Disney Pixar's Up beat competition from Fantastic Mr Fox and Coraline for best animated film while French crime A Prophet was best film in a foreign language. The first winner of the night was Moon director Duncan Jones - the son of David Bowie - who scooped the outstanding debut by a UK film-maker. At the start of the ceremony, Prince William was announced as the new president of Bafta. In his inaugural speech in the new role, he joked that predecessor Richard Attenborough had told him to "keep this brief" otherwise Wrestler actor Mickey Rourke "might wrestle me off the stage". At the end of the ceremony, Prince William and actress Uma Thurman presented this year's Bafta fellowship to campaigning actress Vanessa Redgrave. 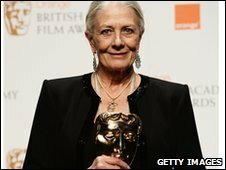 Redgrave, 73, who won the best supporting actress Oscar for 1977's Julia, received a standing ovation. "Oh dear, I'm afraid you've done me in. Your Royal Highness, my dear, beautiful Uma, my dear Bafta friends and colleagues, yes you've done me in, you have absolutely done me in."